Performance reviews have long been a subject of debate. With the implementation of new HR technologies like automated microfeedback, people are starting to question whether regular performance reviews are useful at all. Only 8 percent of companies believe their performance management processes deliver high levels of value, so why waste the time? The annual review seems to be on its way out – no wonder when 45 percent of HR leaders don’t think annual reviews accurately appraise employees’ work. Exit annual reviews, and enter microfeedback. New automated systems make tracking employee progress a breeze. Many systems can send employees feedback once a month, bi-weekly, or even once a week. Take a cue from companies like Deloitte, which now requires team leaders to check in with each team member once a week. The bottom line is, if nobody likes it, it won’t be good for business. Even helpful, constructive feedback will lose its value when wrapped up in time-wasting rules and regulations. Unsurprisingly, considering how much everyone hates them, 30 percent of performance reviews end up actually damaging employee performance instead of improving it. After too many unhelpful annual reviews, employee engagement is bound to take a hit as well. Switch to frequent feedback if you want to avoid retention and engagement problems. Sixty-eight percent of corporate recruiters say that it is difficult for their organizations to manage millennials. Given that millennials will account for 75 percent of the workforce by 2025, it’s time to get used to their work style. Annual reviews aren’t going to cut it for this generation. They’re looking for continuous coaching and support, not yearly check-ins. 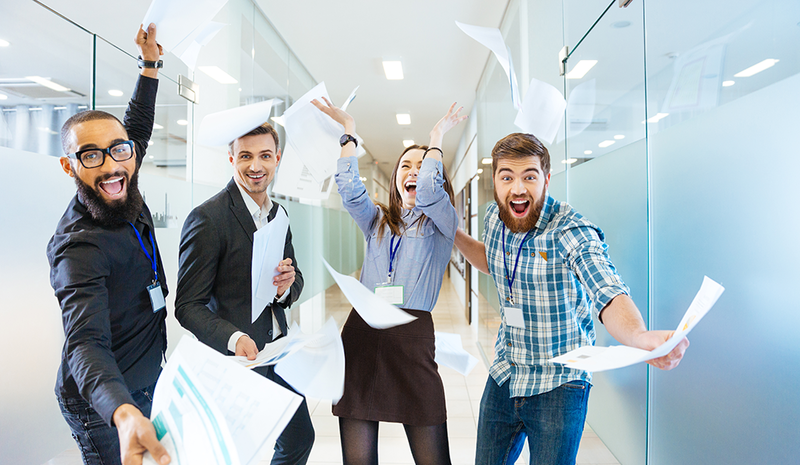 Companies that want to be on the front lines of innovation should think seriously about changing their performance management processes to meet the needs of millennials. Performance reviews aren’t going away, but they are changing. Annual performance reviews take too much time, have too many rules, and are wildly unproductive – even counterproductive at times. Instead, frequent feedback and microfeedback are on the rise. You’ll be shocked at how much engagement, happiness, and productivity rates can skyrocket when you adopt a continuous feedback system: 78 percent of employees say they would work harder if they felt their efforts were better recognized.